Secrets seldom come grimmer than in this unsettling tale, which describes the Los Alamos nuclear lab and the creation of the atomic bomb. The mother-son team behind Diego and other picture book biographies pairs an informational tone with simmering ambiguity. Their story opens on “a peaceful desert mountain landscape,” where a coyote howls, an artist (Georgia O’Keeffe) paints, and a Hopi man carves a kachina doll. After the government commandeers a private school, “the most brilliant scientists in the world” arrive to take up nighttime research, their twilit activities contrasting with sunny New Mexico settings in ochre, pink, violet, and sage. 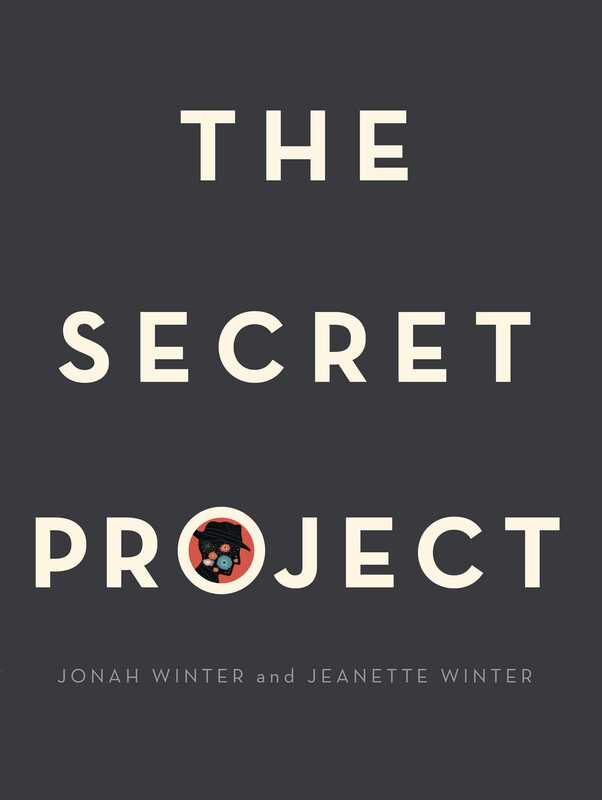 Jonah Winter repeatedly refers to “shadowy figures” at work on a mysterious “Gadget,” and Jeanette Winter pictures them as anonymous, steel-gray silhouettes. When the men gather in a bunker to test the Gadget, the narration disappears. 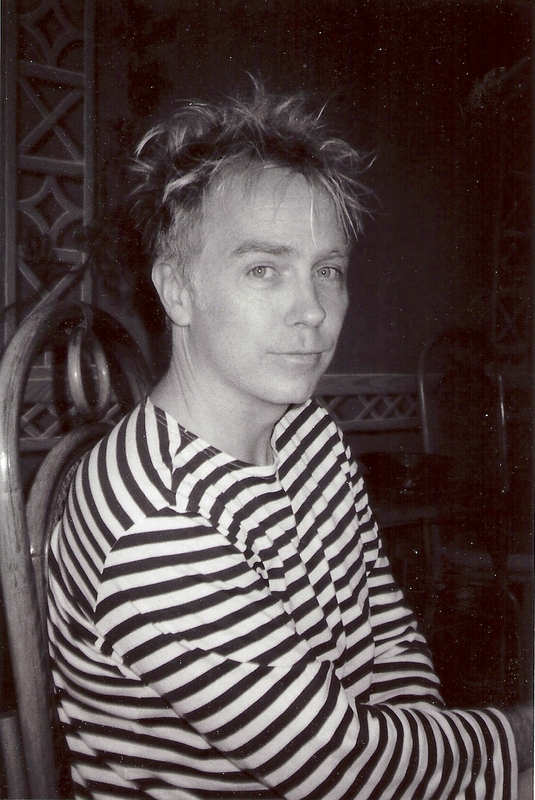 In a chilling wordless sequence with a drab, light-sucking background, a white-gold and blood-red mushroom cloud blossoms, followed by an empty spread in glossy black. An author’s note explains what happened next. Sure to spark conversation about ethics and the use of nuclear weaponry, this powerful book demands a wide readership. Ages 5–8. A moving, nonpreachy springboard for older elementary grade and middle school discussions of the Manhattan Project or nuclear weapons in general. You mightn’t think the Manhattan Project would be a likely subject for the tidy iconographer Jeanette Winter, even while such books as Mama (about the Indian Ocean earthquake) and The Librarian of Basra (about the Iraq War) demonstrated her interest in, thematically, the big picture. The text by Winter fils unfussily grounds the story in its landscape—the mountains of northern New Mexico—observing the transformation of a “quiet little boys’ school” into a “secret location which has no name” where scientists work on the code-named “Gadget.” The eerie, silhouetted paintings of the bomb-makers at work contrast dramatically with the pink-purply illustrations of the desert outside (where another Winter subject, Georgia O’Keeffe, is seen painting a mesa). When the Gadget is secretly moved to its testing grounds, the palette grows more ominous, fading to gray for the countdown, and then the pictures spectacularly erupt in both size and color for the detonation. The closing spread is completely, ominously black. An author’s note supplies more information about the event and its repercussions, but the text itself, concise and thorough, stands on its own, its dispassionate accounting just the right counterpoint to the contained terror in the art. This picture book tells the story of the secret creation of the atomic bomb. An all boys’ school in a desert location is closed, taken over by the government, and becomes the laboratory for the world’s most intelligent scientists. They gather to work in secrecy to create a “gadget.” The project is so secret that many of the people working there have no idea what is being created. Jeanette Winter’s illustrations depict a bright and cheerful desert life, while conversely shrouding the scientists and their work in darkness, showing silhouetted figures in shadowy, ominous colors. Once the “gadget” is complete, they travel deep into the secluded desert to test it out, observing it from afar. The final pages feature only the powerful images of the scientists watching the results of their creation explode into clouds and plumes of fire and destruction. The plain, black endpapers suggest harsh finality. Jonah Winter’s honest depiction, accompanied by the vivid and detailed artwork, tells the creation of the atomic bomb with expertise and tact. The end of the book features an author’s note, followed by a page of suggestions for further reading. This is an excellent historical, as well as scientific, picture book offering opportunity for rich discussion among student readers and educators.